As of January 2, 2017, new regulations from the EPA that govern pesticides are now in effect. Federal law requires any person who applies or supervises the use of restricted use pesticides (RUPs) to be certified in accordance with EPA regulations and state, territorial and tribal laws. As of January 1st, 2018 the EPA has begun enforcement of the program. Do you mix, load, or apply agricultural pesticides? Do you help or assist with the application of pesticides? Do you clean or repair pesticide application equipment? Are you an agricultural worker performing tasks related to growing or harvesting plants either on a farm, greenhouse, nursery, or a forest? If you answered yes to any of the above questions, you are covered by the EPA’s Agricultural Worker Protection Standard (WPS). The new requirements are intended to protect workers from pesticide protect workers from exposure to pesticide and reduce the effects of exposures that do happen. 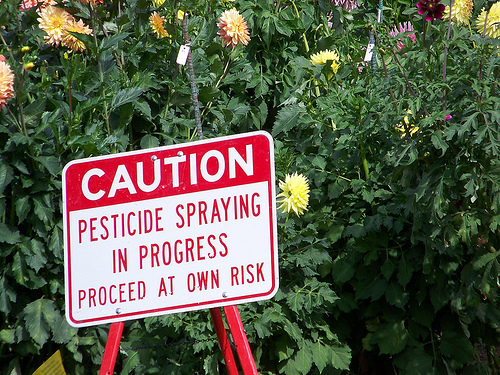 Provide protections to workers and handlers from potential pesticide exposure. Train them about pesticide safety. Provide mitigations in case exposures may occur.